I spent some quality time with Jess’ car this past weekend. I plan on gradually changing as many parts as I can before the baby comes so everything is good as new and safe. 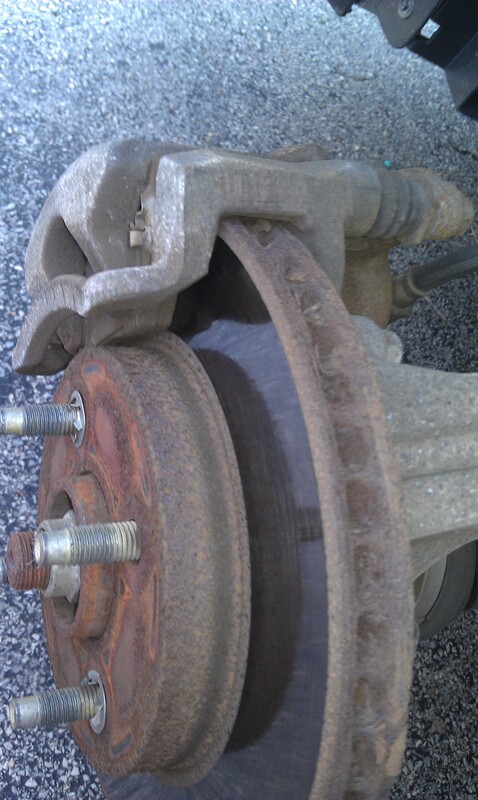 For this weekend I chose to change out the front brakes and rotors, as well as change the spark plugs. Now I typically try to do maintenance myself as it is far cheaper than going to the mechanic. It is completely safe, if you know what you are doing that is. The brake pads cost me $20, the rotors cost $37 each (1 per wheel), and the spark plugs were $3 each (need 4 for a 4 cylinder engine) for a total of $114 with tax. Now I have gotten this exact work done at a normal shop before, even a place I have been going to for years that gives me discounts, and this service would have easily cost $300. Big savings in my book. 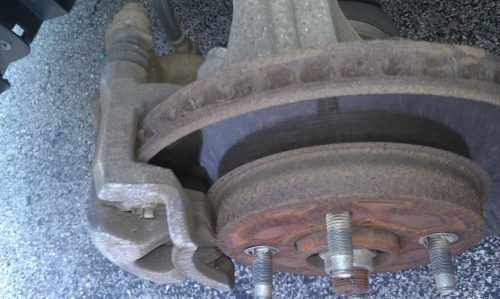 Here is a picture of the old brakes and rotors. Unfortunately my hands were completely black and I held the phone awkwardly and missed the brake pads in the photo. As you can see everything is nice and worn out. Roughly 62,000 miles on these bad boys with the pads almost to the warning clip. Here is the after image with the new parts. It takes roughly 10-20 minutes to change out the parts if you are taking your time and using manual tools like I do. 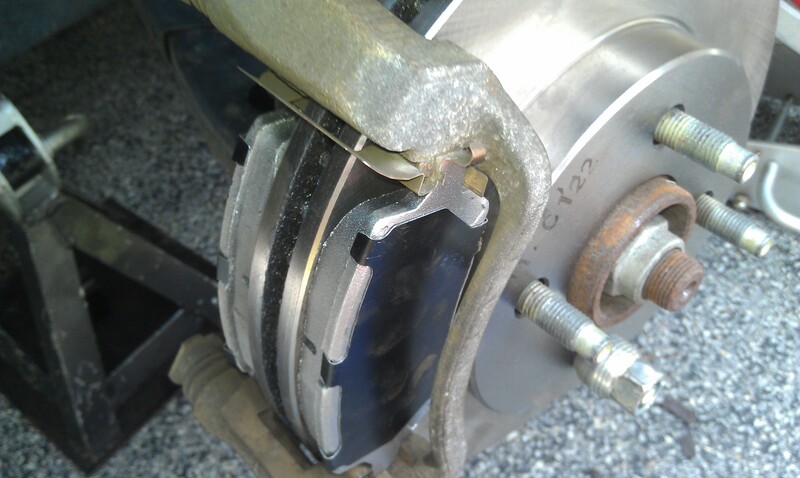 After I put the calipers back on the brake pads I rotated the tires for her. We put new ones on last year and she hit around 15,000 miles on them so it was time to rotate. Once the car was back on the ground I changed out the spark plugs for good measure. The old spark plugs looked in really good shape which is a good sign the engine is working properly. I knew she didn’t really need new plugs but with the baby coming I figured I would change them out.